With next week being the final round of games in the Euroleague Top 16, we are at a very exciting stage of the campaign. Thursday night saw 4 games, split evenly across the two groups, and while we need to wait for Friday’s games to see how the tables look going into the final week, we look set for a nail-biting finale to the Top 16. The one away win of the night occurred in Group E and it is likely to have put the cat among the pigeons with respect to playoff qualification. This was a big win for a team who have already booked their spot in the playoffs but who are looking to seal home court advantage in the next stage of the tournament. Second place could be clinched on Friday night if Panathinaikos lose their game and it would be a fitting reward for Lokomotiv who currently hold a 9-4 record in Group E. Life has been very rough of late for Malaga who are currently sitting with a 3-10 record. The hosts sprang to life early on with a 10-2 lead and at the half-time interval; the score was 39-35. The home team remained in full control until the end of the game and there was no hint of a comeback or fightback from the Spaniards in the second half of the game. Malcom Delaney and Matt Janning both grabbed 15 points in the win, with Delaney picking up a double-double thanks to his 10 assists. Victor Claver and Ryan Broekhoff both picked up 10 points and Anthony Randolph reached 10 points in the win. For the losing side, Mindaugas Kuzminskas picked up 16 points. There was a big upset in Belgrade on Thursday night when playoff hopefuls Crvena Zvezda were dismantled by Darussafaka who have already been eliminated from the tournament. The win sees the Turkish side move on to a 4-9 record but the hosts fall to a 7-6 record and they are still waiting to clinch a playoff spot. While the hosts started brightly, it was a tight game and the away team held a narrow lead at half-time, 34-35. 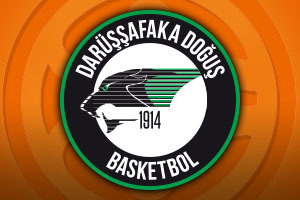 A 4-23 scoring run in the fourth quarter opened the game up and the Turkish side never looked in any danger in the final five minutes of the game. Scottie Wilbekin was in good form with 19 points and 5 assists while Jamon Gordon managed to provide 14 points, 6 assists and 4 steals. Milko Bjelica provided 13 points and 6 rebounds in the win. For the losing team, Quincy Miller grabbed 18 points while Nemanja Dangubic grabbed 14 points in the loss. The home team can still seal their playoff spot if they win in Zagreb next week or if Anadolu Efes Istanbul fails to win any of their last two games. It could still be a decent weekend for the Belgrade side but they’ll be looking at the results on Friday with a touch of nervousness. There were two big results in Group F on Thursday night and while nothing is guaranteed with respect to the playoff spots, the winning teams will be feeling a lot better and brighter about life going into the weekend. The Russians were in brilliant form as they dismantled their Greek opponents and moved onto a 7-6 record. Before the Friday games, the Moscow side sit in the final playoff place and they know that they have given themselves a chance of progressing. The away team are also on a 7-6 record but they are further down the table and they will need other results to go in their favour if they are going to progress in the tournament. 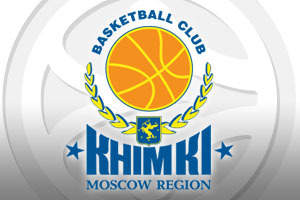 It was a close game until the second quarter but a 17-2 scoring run opened up the match and Khimki never looked back. The gap was 12 points at the break and at one stage, there were 36 points between the two teams. Petteri Koponen grabbed 21 points, Alexey Shved offered 19 points and James Augustine grabbed 18 points and 10 rebounds for a double-double. The leading player for Olympiacos Piraeus was Othello Hunter who picked up 14 points. This win has done FC Barcelona Bàsquet a world of good. The Catalan club are not yet guaranteed a playoff spot but if they can beat lowly ranked Zalgiris Kaunas next week, they will make their way to the playoffs, so that is something to aim for. The hosts moved on to a 7-6 record with the win while the German side dropped to a 6-7 record but still hold a slight chance of making it through. Mind you, for Brose Baskets to go through, they need to win next week while also hoping Kaunas and Olympiacos win, so they’ll need a few things to fall in their favour. Brad Wanamaker started in great fashion for the away team, picking up 7 early points as the Germans moved into an 8-9 lead but before too long the Catalan side raced away with the game. The half-time score was 43-23 and there was no turning back in the second half. Wanamaker grabbed 16 points in total in defeat while Alex Abrines was the key man for Barcelona with 13 points. Justin Doellman and Ante Tomic both grabbed 12 points and Carlos Arroyo offered up 11 points in the win.